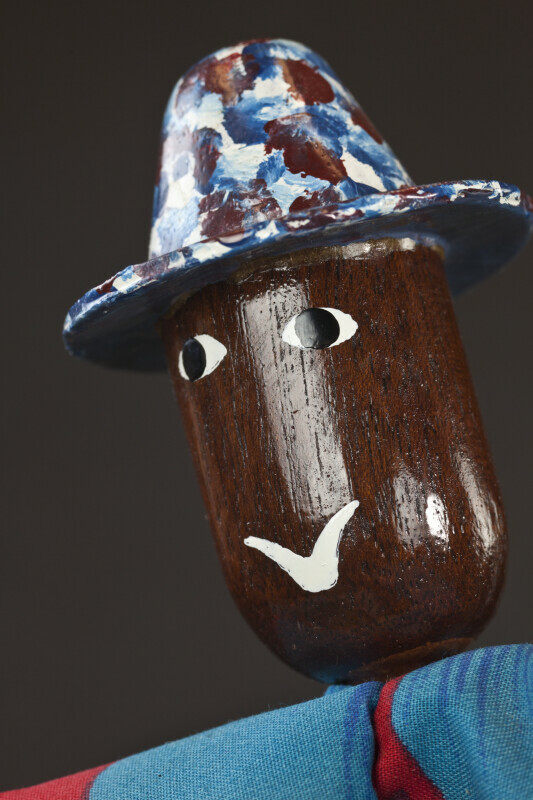 The close up picture shows the steel drummer's head, with is made from a large wood bead. His eyes and mouth are hand-painted on the bead. His hat is made from paper mache and is painted in bright colors. This figure stands 10 inches (25 cm) tall.